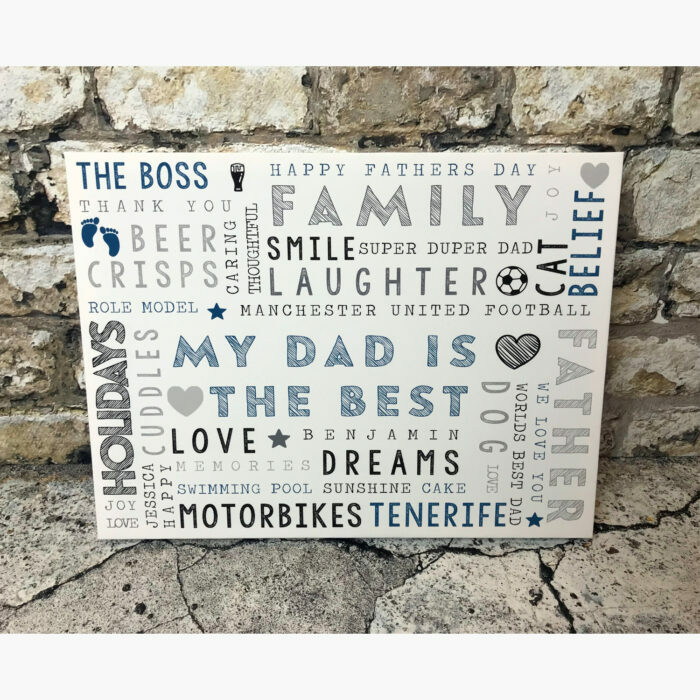 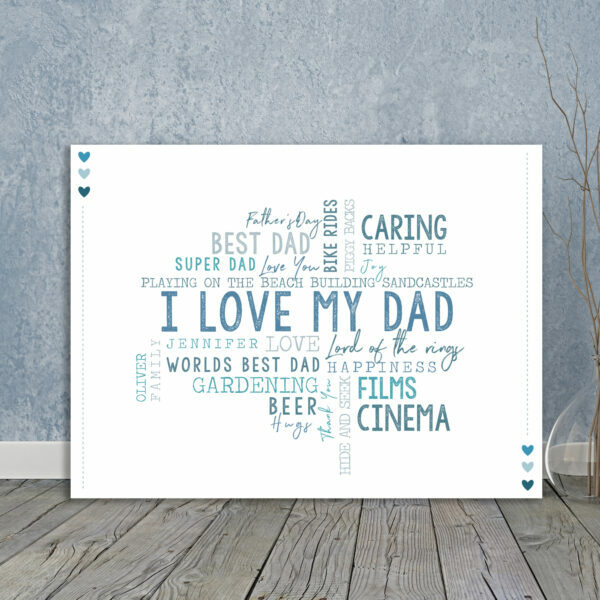 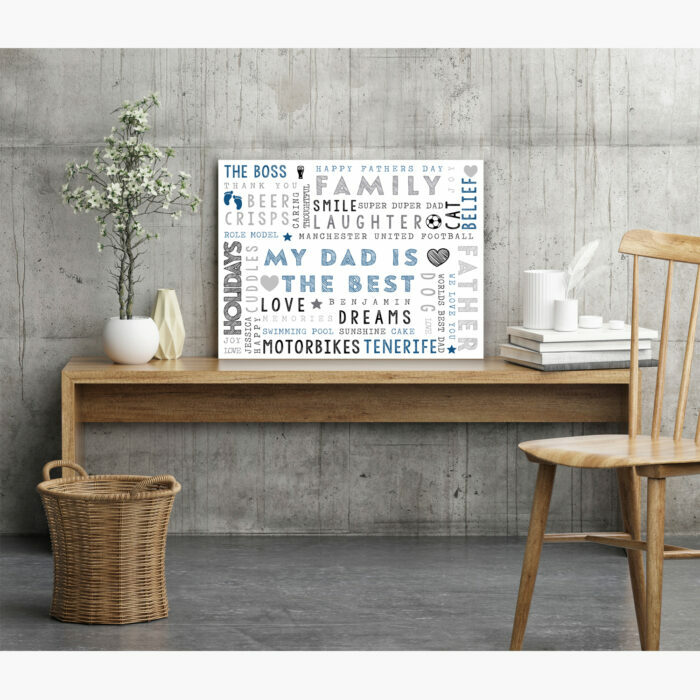 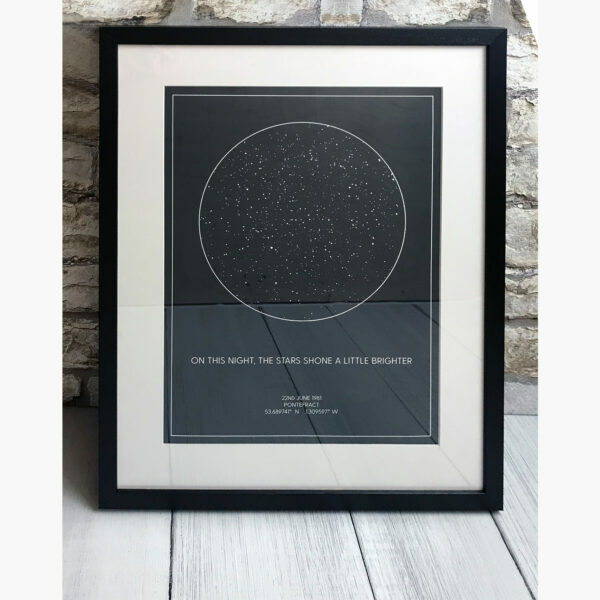 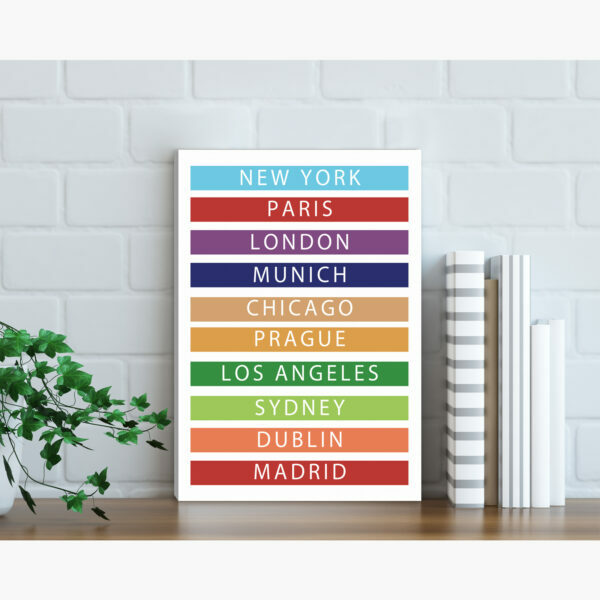 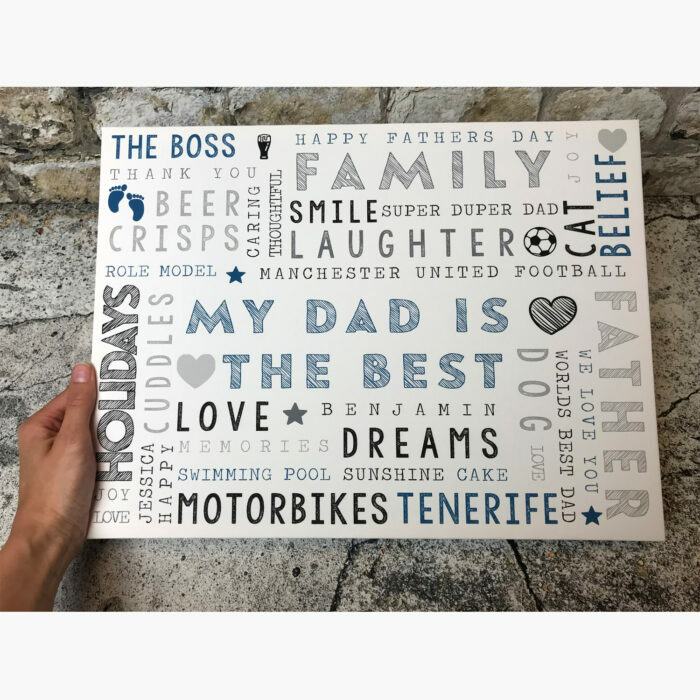 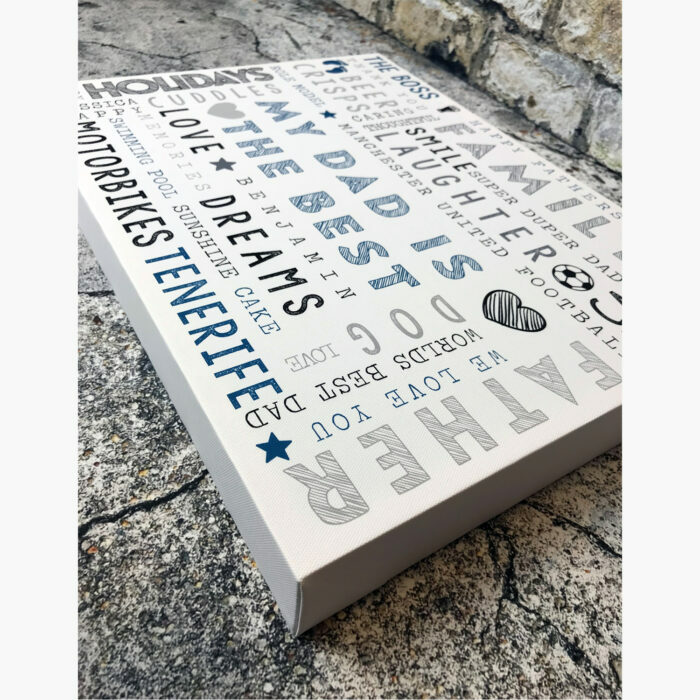 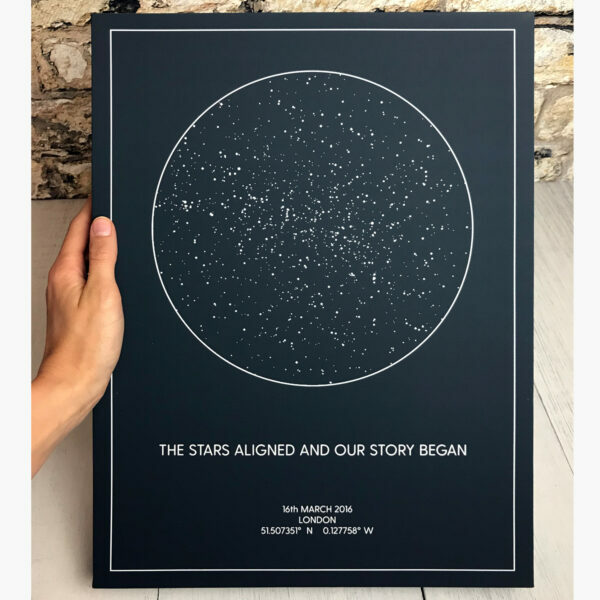 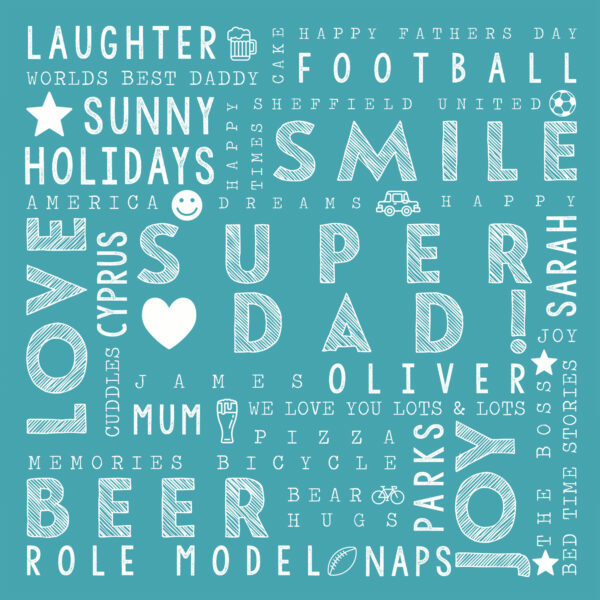 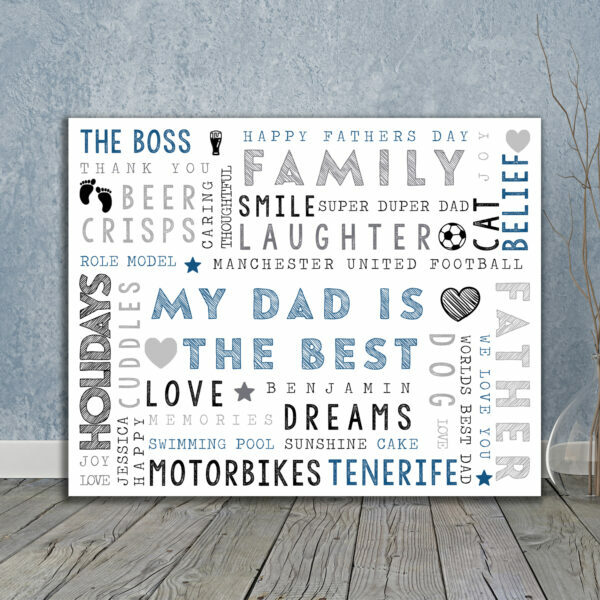 Our rectangle word art prints are the perfect gift for Father's Day, Mother's Day, birthdays, weddings, anniversaries or just to collate memories to finish the home in a unique way. 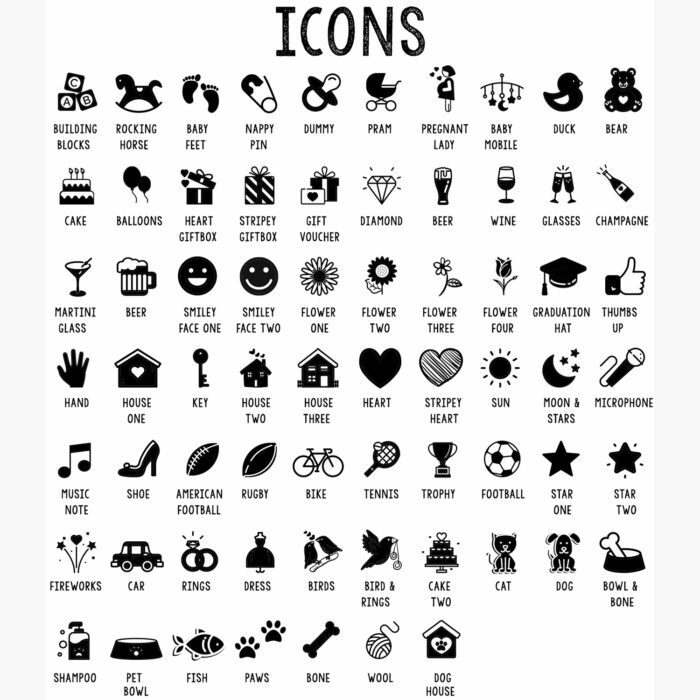 The options are endless and can be made so it is perfect for you. 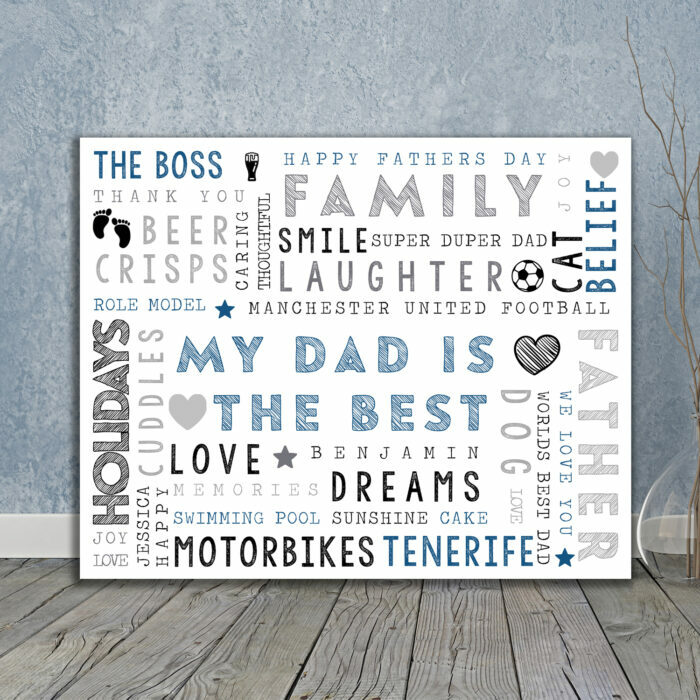 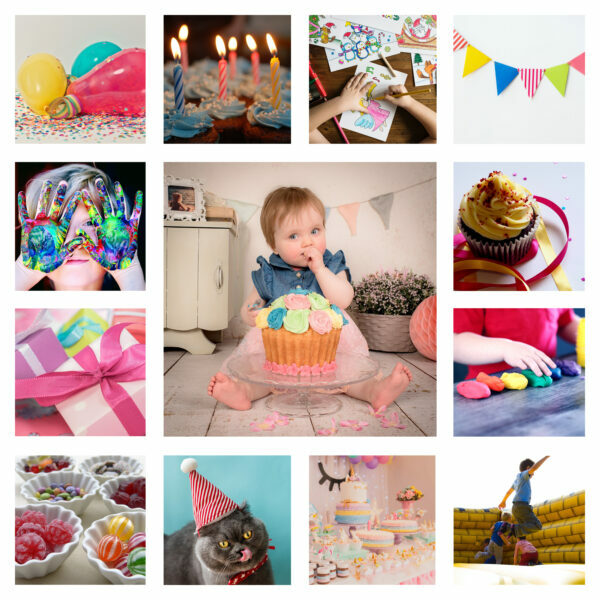 If you would like just one image on your print check out our single image canvas prints. 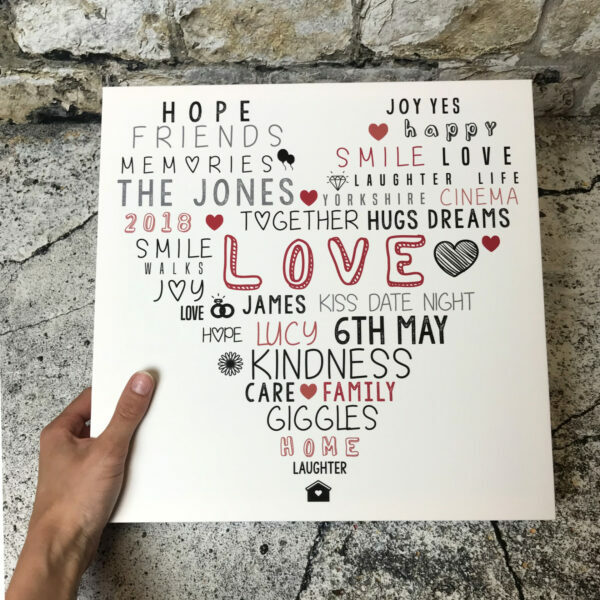 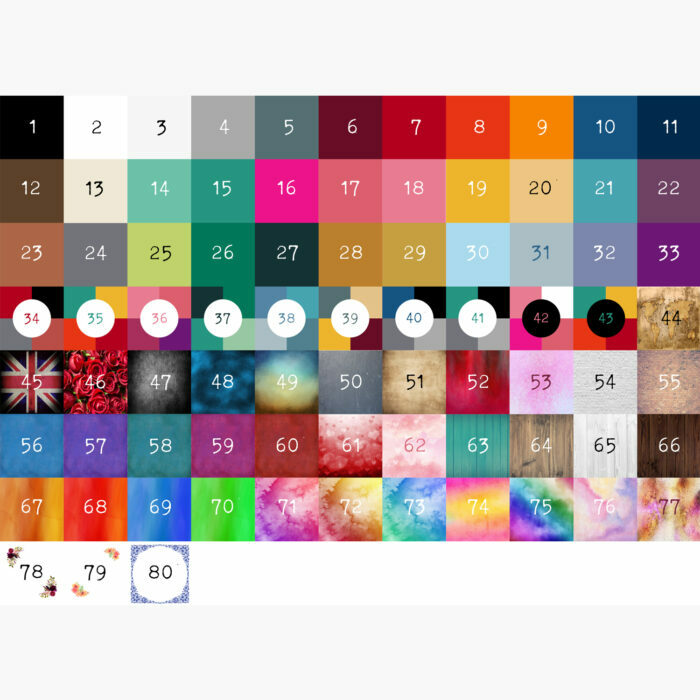 Simply pick your favourite background/colour scheme, the icons and finally the words you would like printed and we will send a proof back within 1 working day. 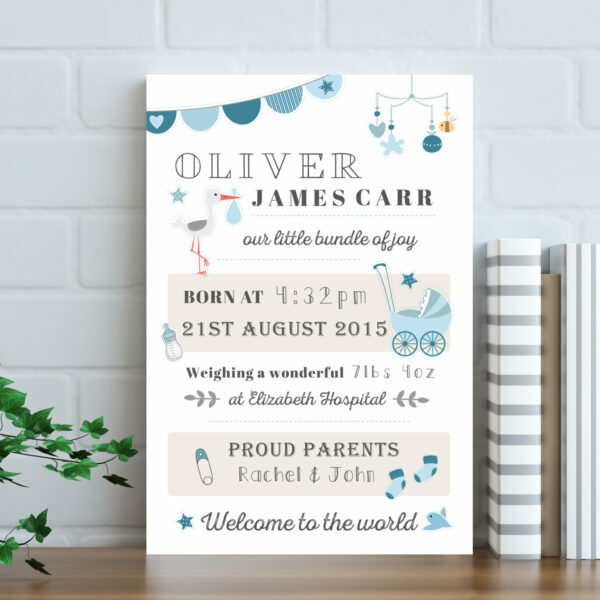 Please allow an extra day before shipment whilst the proof is sent and approved for printing. 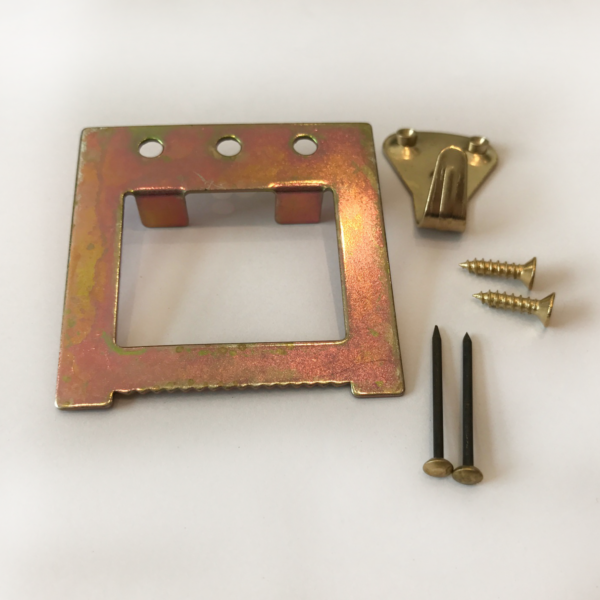 If you do need it quicker, please get in touch as we can see if we can get it produced quicker for you. 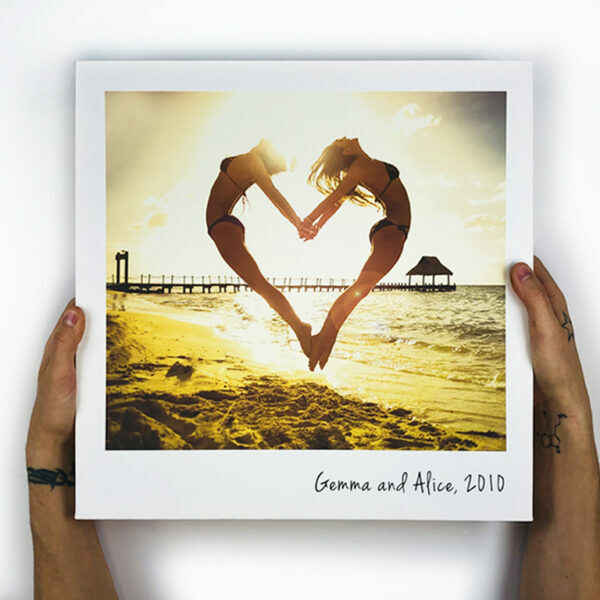 If you order a digital file, we will provide the print in digital format and no physical product will be produced.